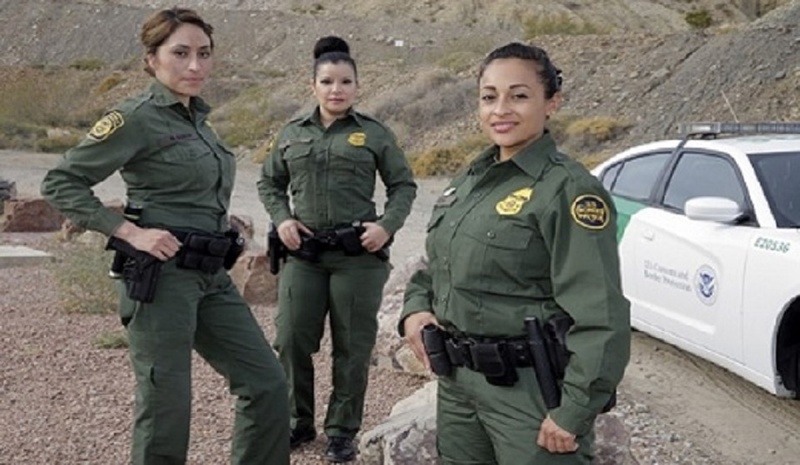 With President Donald Trump’s blessings, federal law enforcement officers are increasing the number of illegal immigration cases they are turning over to the U.S. federal court system for adjudication. But past reports that were dismissed as being right-wing fear-mongering appear to have been correct all along, according to New York City’s Center for Migration Studies. The cases being brought into federal courtrooms are those in which foreign travelers allegedly lied on their visa applications in order to avoid exposing their records of overstaying their visas during past visits. 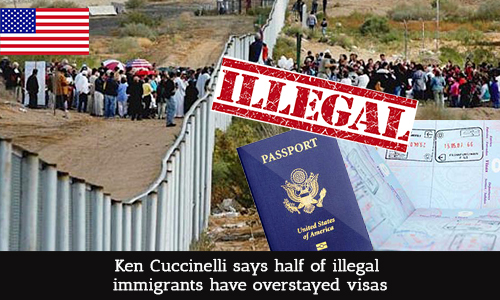 They are not “undocumented migrants” but are lawbreakers who routinely flaunt their disregard for U.S. laws. 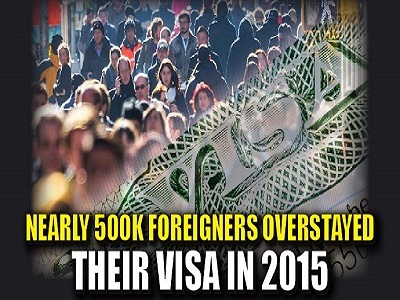 The publication of the new CMS report shows that the foreign visitors who stay longer than their visa expiration date are believed to outnumber illegal aliens who surreptitiously cross the U.S. borders from Mexico and Canada. “Since 2007, a majority of undocumented immigrants in the United States are the result of visa overstays, not illegal border crossers,” according to the researchers. 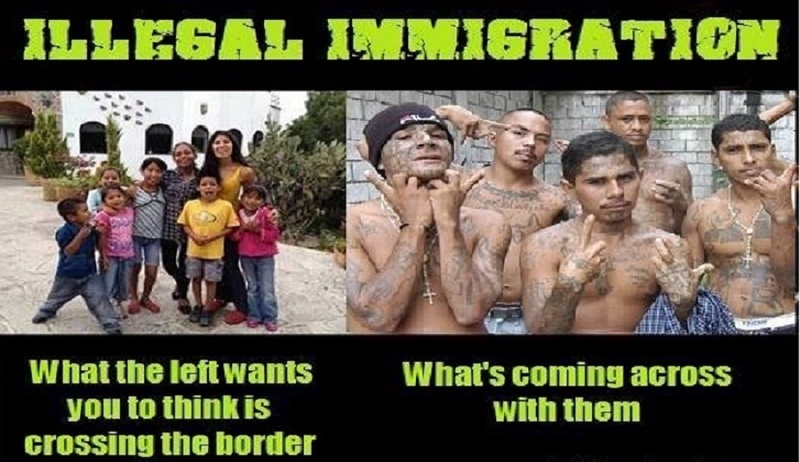 “I believe that the Democrats and some of the Republicans in both houses of the U.S. Congress already are aware of the facts about visa overstays outnumbering illegal border crossers. That’s the idea behind fighting President Trumps multi-faceted approach — a border wall, more Border Patrol agents, more Immigration and Customs Enforcement (ICE) agents, immigration courts, etc. — and directing media attention to the border wall and deportations,” said former New York police detective and security director Iris Aquino, the daughter of immigrants from Latin America. Each year, millions of visitors, foreign students, and immigrants come to the United States. Foreign visitors may enter on a legal temporary basis — that is, with an authorized period of admission that expires on a specific date — either with temporary visas (generally for tourism, business, or work) or, in some cases, as tourists or business visitors who are allowed to enter without visas. Significant numbers of foreign visitors overstay their authorized periods of admission. Based in part on its long-standing I-94 system for tracking arrivals and departures, the Department of Homeland Security estimated the overstay population at 2.3 million. But this estimate excludes an unknown number of long-term overstays from Mexico and Canada, and by definition and it excludes short-term overstays from these and other countries. Because of unresolved weaknesses in DHS’s long-standing tracking system (e.g., non-collection of some departure forms), there is no accurate list of overstays. Tracking system weaknesses make it difficult to monitor potentially suspicious aliens who enter the country legally — and limit immigration control options. Post-September 11 operations identified thousands of overstays and other illegal immigrant workers who (despite limited background checks) had obtained critical infrastructure jobs and security badges with access to, for example, airport tarmacs and U.S. military bases. While federal investigators have arrested more than 1,400 illegal workers, the majority have eluded apprehension. Together with other improvements, better information on overstays might contribute to a layered national defense that is better able to counter threats from foreign terrorists. A more comprehensive system, US-VISIT, the U.S. Visitor and Immigrant Status Indicator Technology, is being phased in. Kenneth Thomas “Ken” Cuccinelli II is an American politician who served as attorney general of Virginia from 2010 until 2014. An analysis shows that the Departments of State and Homeland Security took some actions to address weaknesses in the visa revocation process identified in reports. However, a review of visas revoked, including a detailed review of a random sample of 35 cases, showed that weaknesses remained in the implementation of the revocation process, especially in the timely transmission of information among federal agencies. The State Department and DHS also took some steps to address legal and policy issues related to visa revocations. In April, the Terrorist Screening Center, an interagency group organized under the Federal Bureau of Investigation, identified the visa revocation process as a potential homeland security vulnerability and developed an informal process for TSC to handle visa revocation cases. However, weaknesses remain. The State Department’s and DHS’s procedures are not fully coordinated and lack performance standards, such as specific time frames, for completing each step of the process. Outstanding legal and policy issues continue to exist regarding the removal of individuals based solely on their visa revocation. Send these disease ridden urgents back to their country. They steal American idenity and vote in our elections. The AH politicians have sold America out.